How wrongful the foolish custom that has beset us, by deliberate trickery I am sure, that we should call 13-17 year-olds children. We should call them young men and women. 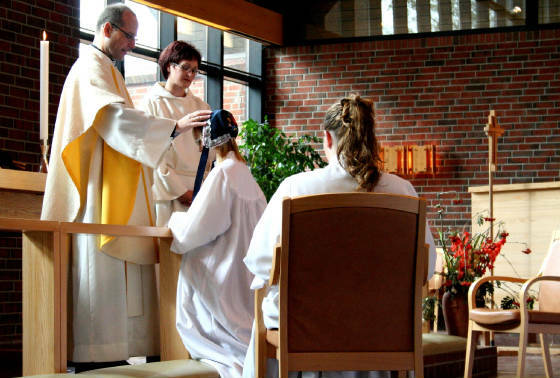 I was "confirmed" in a mainline church at 12, and deemed to be a young man, NOT a child anymore. Thus, I was to be able to understand religious things for myself. Wikipedia's article, Adult, notes that Jewish tradition sets 13 for adulthood. And also, that many rites of passage are accomplished around this age, world-wide. Rightly so, the article notes that puberty has occurred by this age, and thus, the person is able to reproduce. We should not overlook that the Creator is thus signalling that adulthood has biologically begun. It is thus appropriate that adulthood, socially, should be beginning, too. I believe it is a great evil to call 13-17 year-olds, even 18 and 19 year-olds children, boys and girls. What do we expect them ACT like if we do this. We should insist they be called young men and young women and we should be expecting them to act like it. The Bible, in many places says Jesus Christ was to born of a woman, not a girl. The say 12-14. Again the bible deems Mary to be a woman, in God's sight, not a girl. This practice of calling 13-17 year-olds boys and girls, is, I'm sure a deliberate act of evil against God, and against us. 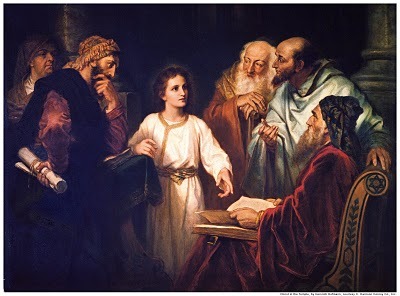 Luke 2, speaking of Jesus shows him at age 12 sitting in the Temple, listening and talking to the doctors of law. Seems to me this furthur evidences that age 12 is the transition time to adulthood. This is especially seen in Jesus' comment, in verse 49, I must be about my Father's business?